SnowTrax Television airs thirteen episodes from December to April and has established itself as the most watched snowmobile television series in North America. 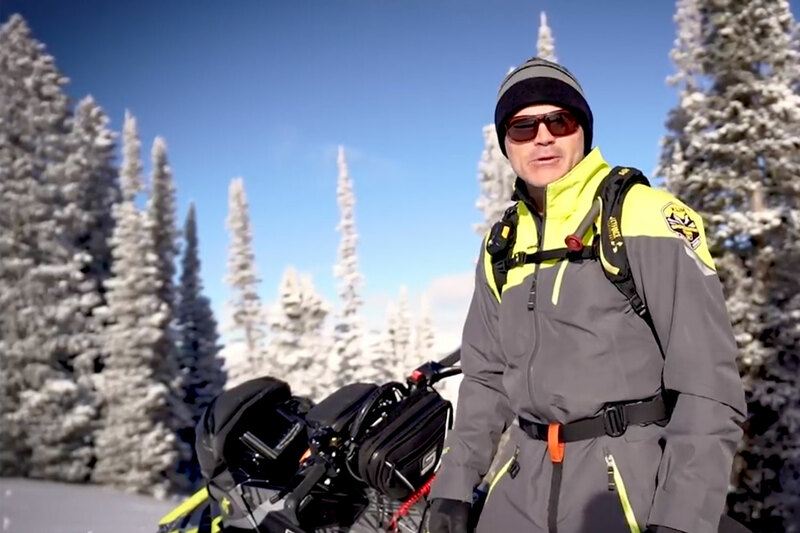 Each week the SnowTrax crew guides viewers through an informative and entertaining half hour revealing the inside scoop on the latest snowmobiles, accessories and riding destinations that make snowmobiling winter's greatest adventure sport. Affiliated with national broadcasters such as OLN and Wild TV in Canada and Outdoor Channel in the United States, SnowTrax Television effectively reaches over 72 million national households with 24 million of those households being located in the North American snow belt. SnowTrax Television has and will continue to attract and retain viewers by virtue of its unique, informative and entertaining cinematic format. Let our Sales Team help you put together a program within your budget that will reach snowmobile enthusiasts across North America interested in your products and services! Fill out the form on our contact page to with your inquiry and a member of our team will be in touch with you right away.